Boston is quickly becoming a new favorite city for me. 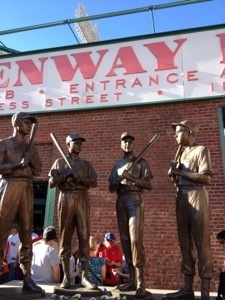 Yesterday, the girls and I went to Fenway Park and watched the Red Sox win 2-1 over Baltimore. The game came down to the last batter being struck out with the bases loaded. 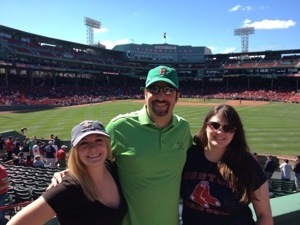 Perfect weather, competitive game, hanging out with my daughters… With apologies to MasterCard, this was priceless. After the game, we met with my colleagues from Alan Weiss’s consulting community. We all went out to dinner at a terrific Italian restaurant downtown near the Boston Garden. 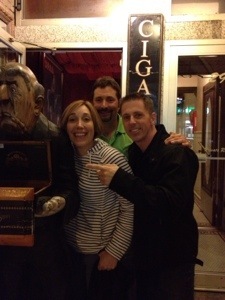 Afterwards, three of us found a cool, underground cigar bar and shared a cigar and scotch together. We then caught up with the others and ate dessert from Mike’s Pastries. This is a new group that has been formed within Alan’s community, and the chance to build relationships by eating and having fun together is, well, also priceless. It was a real treat to include my adult daughters in the evening. Today was our day with Alan. We discussed a myriad of strategy and tactics related to our consulting careers. The best way to improve and grow is to learn from your peers. It was a value laden day. The girls spent the day touring Boston. I am a little jealous, but plan to do some catch up tomorrow! Tonight, we watch the Seahawks play on Monday Night Football. A real treat to watch our home town team play on a national stage from the other side of the country. We are meeting one of my daughter’s classmates, who I also coached in basketball in high school. She went to college here, and is now working in this great city. Full day, with more fun ahead. Stay tuned to tomorrow for more!